Movies that take place in the Marvel Cinematic Universe are hit-or-miss for the majority of filmgoers–uber fans of the characters/mythology tend to have a blind eye to a respective films misgivings. Every so often a MCU movie gets its right, as with Iron Man and Thor. The Avengers was not so lucky (if luck really has anything to do with it in Hollywood). The pairing of a great many of the favorite Marvel universe characters has been redeemed in the follow-up sequel: Avengers: Age of Ultron. The shocking reality about director and screenwriter Joss Whedon’s Avengers: Age of Ultron is the fact that little can be said to its faults. From start to finish, it is a well-crafted engrossing film that has just enough action to appease those who want explosions and strongly choreographed fight sequences, while also containing enough thought and intellect to keep others pleased, too. For those who want both, well, it fits the bill perfectly. 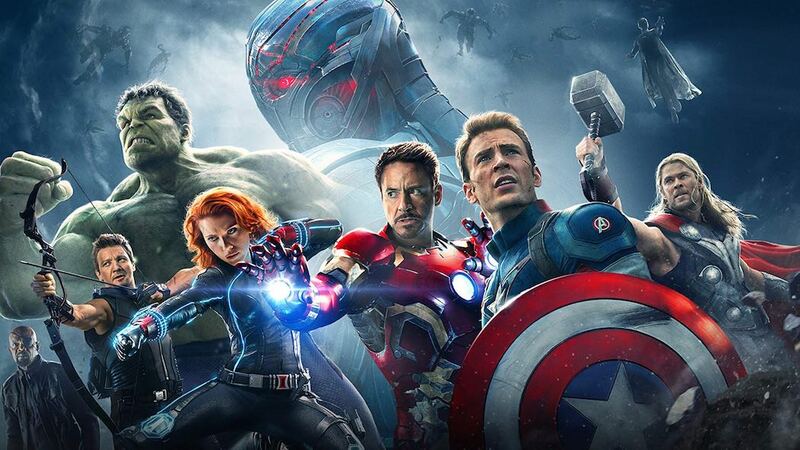 Avengers: Age of Ultron may very well be one of the best superhero films ever made. The reason: Avengers: Age of Ultron‘s artificial intelligence. If you’re hoping for a green-faced man or aliens flying from the sky in a silly spectacle that has been seen time and time again, look elsewhere. Whedon’s script for Avengers: Age of Ultron rids itself of the all-too-familiar superhero cliches and Hydra antagonist disappointments. The villain here is Ultron (voiced by James Spader), an artificial intelligence who has found its way into a robotic body. One can only call to mind SKYNET while watching Avengers: Age of Ultron, even if the concepts are inherently different but their endgame strikingly similar. It is this intelligent being, created by man to end man, that makes the film so much fun to watch. You don’t have to remove yourself completely from the “known” scientific universe to grasp the villain. Your suspension of disbelief is reserved for accepting a man can turn into a giant green monster, a powerful God exists from another world, and genetic modification can create superhumans. When it comes to Ultron, the reality that it could–and may already–exist is all too real. Plus, Tony Stark is partly to blame for its existence which makes it all the better to watch how things play out given Stark’s flair for duplicity. To make things even better, there’s another being that will come into play. This one, who may or may not be Jarvis (voiced by Paul Bettany) will alter the course of everything because nothing that is created to have its own intelligence can ever be controlled. Who do we have to thank for this one coming to life? Thor. Oh yes, a God is responsible for setting a new life form free on earth. For lovers of science fiction, mythology, and fantasy, things do not get much better in a superhero-laden movie. With the onset of artificial intelligence in Avengers: Age of Ultron, the possibilities are endless now in future Marvel Cinematic Universe films. Getting to the artificial intelligence fun within Avengers: Age of Ultron means establishing the new world post-Captain America: The Winter Soldier, with S.H.I.E.L.D no longer in existence and Hydra in shambles. 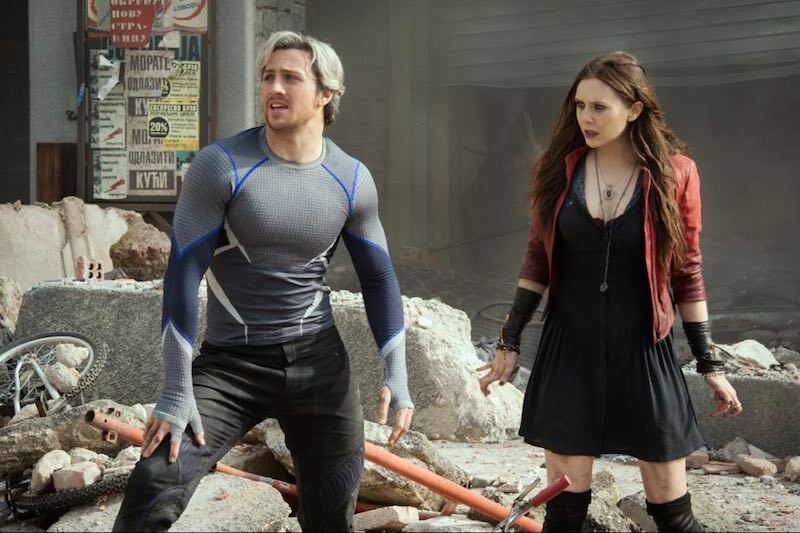 There are a few new faces to the cast, notably “The Twins,” consisting of Wanda Maximoff/Scarlet Witch (Elizabeth Olsen from Martha Marcy May Marlene) and Pietro Maximoff/Quicksilver (Godzilla‘s Aaron Taylor-Johnson). The twins have an interesting backstory and are key to what will transpire in Avengers: Age of Ultron, although much should not be expected of them as there is not much there to explore besides what is offered. Other new faces are altogether forgettable, but the ones everyone expects are present and at their best, including Steve Rogers/Captain America (Chris Evans), Tony Stark/Iron Man (Robert Downey Jr.), Thor (Chris Hemsworth), Bruce Banner/The Hulk (Mark Ruffalo), and Natasha Romanoff/Black Widow (Scarlett Johansson). You will even find a few surprise appearances along the way from other characters who have made the Avengers universe grow with each characters’ individual films and the previous ensemble. 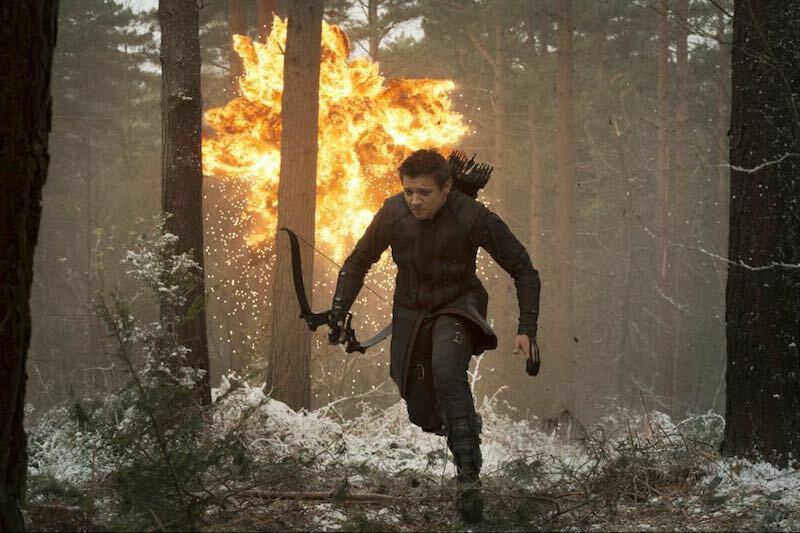 If there were one character many would be happy to not see appear it is Hawkeye (Jeremy Renner). But fear not, he finally makes sense after Avengers: Age of Ultron. Finally, Hawkeye is given his due and a real character and arc are created to bring viewers closer to the character that never amounted to being worth watching. Giving Hawkeye a reason to be in the film, and showcasing why he is a part of the Avengers in contrast to the artificial intelligence villain, adds a new element to Avengers: Age of Ultron and the franchise as a whole. Hawkeye is not a character who is ever going to have his own standalone movies like Thor or Captain America, but he was in serious need of dimension and depth. Avengers: Age of Ultron finally delivers him that and showcases how being human and without modification presents a realness to the Avengers that is needed when paired against an artificial being. Hawkeye is relatable because of his simplicity, vulnerability, and emotions; something that plays out perfectly within the movie. The one thing all the characters have in common this time around: They act like adults, with feelings, a range of emotions, and the ability to admit their mistakes and find their own futures. Who knew it would take this long for a Marvel Cinematic Universe movie to show maturity–and its in one that features a giant green monster. Avengers: Age of Ultron has succeeded in creating a superhero movie that has an otherworldly dimension to its story while maintaining a basis in reality. It is a movie you can watch without needing to overreach your own boundaries of how much you are willing to accept in terms of ludicrous villains or far-fetched ideas. Artificial intelligence is real in Avengers: Age of Ultron and in the non-filmic world. You can relate to that. Also, Avengers: Age of Ultron does not forget to make the viewer laugh, doing so consistently, while also begging them to think and deduce given what is happening on screen. Superhero movies tend to dumb things down, and the Marvel Cinematic Universe movies have criminally done so time and again. Avengers: Age of Ultron keeps things light while delving into a darker place that does not let one sit idly by while explosions and combat erupt on screen. Avengers: Age of Ultron is still a movie created for pure entertainment, but should you choose to you can find a great deal to think about from the elements within like artificial intelligence.